Pierce Brosnan plays the eponymous mega millionaire art thief Thomas Crown – a suave gentleman who likes his paintings like his women: old. Renne Russo stars opposite in this re-made glitzy, romantic cat-and-mouse thriller. Next installment due in 2008. The 70s was a golden age for cinema; Jaws, The Exorcist, Godfather 1&2, A Clockwork Orange, Carry On – okay not Carry On. ‘Pelham’ is an entertaining thriller about a band of hijackers, led by Mr Blue, (sound familiar) who take the 123-train hostage. Great casting with a rapturous ending. Manhattan is a post apocalyptic prison over run by hideous criminals. 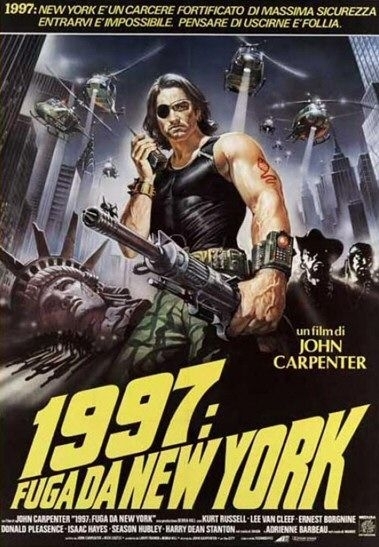 Kurt Russell is Snake Plissken, clad in leather, a menacing eye patch and armed with about four lines of dialogue, sent into rescue the US president who has crash-landed into the mayhem. Truly amazing – Kurt Russell that is.